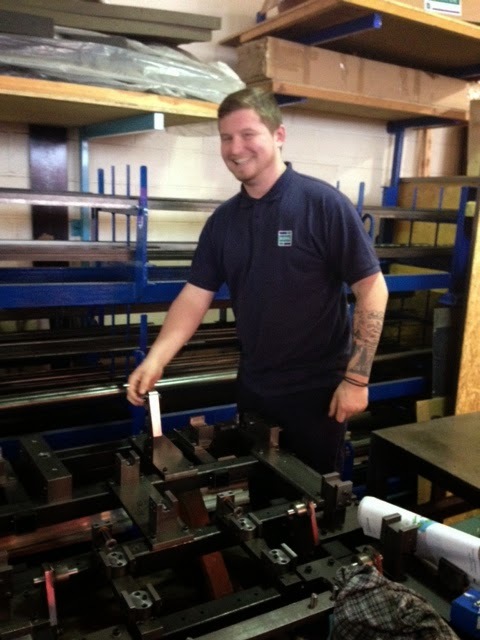 Sidhil News: Meet our Apprentices! One of the options open to you after the age of 16 is to train through an Apprenticeship. This is a way of learning the skills necessary for various careers while earning at the same time. An Apprenticeship will often suit young people who do not want to go into full-time further or higher education, but still want to gain extra qualifications that are work related. At Sidhil we currently offer 3 types of apprenticeship; Customer Services, Business Admin and Engineering; our courses are run through Kits and Training2000. We interviewed two of our staff members, Brad Wilson and Levi Bedford - both have been through the KITS apprentice programme for Engineering. Training is delivered initially through Block Release then 4 days per week at Sidhil and 1 day per week at college. What does the training process include at KITS? Training starts with 2 weeks theory in the classroom and then into the on-site workshop. KITS has a fully resourced workshop designed to replicate a modern workshop environment. 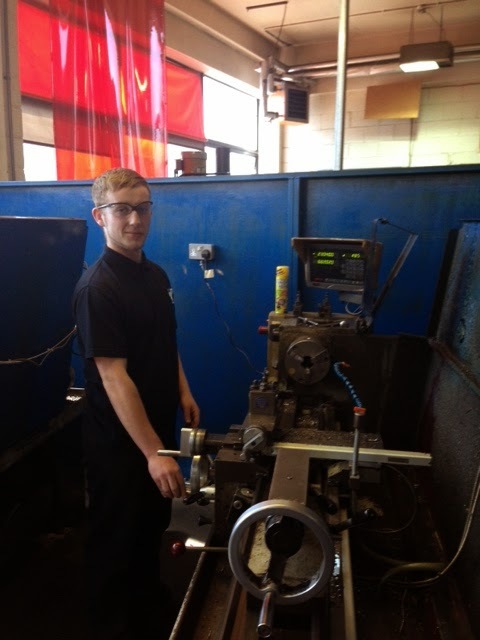 All our apprentices receive training on a wide range of equipment that they will find in a workshop, from manual lathes and milling machines to the latest state of the art CNC machines with on machine justification. After 6 months the apprentice is ready for a company placement. 1. When did you start the apprenticeship? 2. Where did you hear about Apprenticeships? 3. You’ve been working with Sidhil for 4 years now, how did you get the job? Kits work in partnership with Sidhil; they arranged some interviews with local manufacturing companies. I came for an interview at Sidhil and they gave me the job. 4. Can you remember how you felt when you first started at Sidhil? I was ready to start working and get on with learning the job really. 5. How did you find the apprenticeship overall? It’s been good, I’ve enjoyed it and it has flown by. I enjoyed working on the Innov8 iQ bed and I have just finished working on the new iQ Split Side rails, that’s been a good project and I’ve learned a lot. 8. Do you feel the work experience that you've gained is better than full time college / learning on the job? Yes definitely, you learn so much more from being hands on with the tools and using them everyday. Also working with experienced Engineers is good. Also earning money whilst you train helps! What are the main skills you have been taught whilst working at Sidhil? 9. So now you are a qualified Mechanical Engineer are you happy about staying at Sidhil? Yes definitely, I like it here, I’m also doing a HNC course now in People and Project Management. 10. What are your future plans and career ambitions? Eventually I would like to manage a team and run my own projects. 11. Should people be considering apprenticeships? It’s a good way to get a good career without getting yourself into debt at Uni and you earn whilst you train, it was the best option for me. I was studying Public Service at Calderdale College because I wanted to train to be an Engineer in the Army, I finished the course and at the time my twin brother was doing an apprenticeship with Kits, he liked it, so I thought I would try one. 3. You’ve been working with Sidhil for just over 2 months now, how did you get the job? The same as Brad, Kits set up some interviews and I got a job with Sidhil. 4. How has it been at Sidhil since you stared? Everyone has been so welcoming since I started, I like it because the work is hands on and I have learnt so much since I started on the job. I’m really enjoying it and it's given me the chance to take my English qualification again as part of my functional skills. I found out today that I had passed my English with a score of 98%. 6. Do you feel the work experience that you've gained is better than full time college / learning on the job? Yes, it's all good, I’m learning so much and I like working with the other lads in the team and at the end of it I will be a qualified Mechanical Engineer. 7. What are your future plans and career ambitions? Eventually I would like to be an underwater welder, fixing oilrigs. 8. Should people be considering apprenticeships? Yes definitely, if you don’t want to go to Uni, and you’re struggling to get started with work because you don’t have the skills, then it’s a good way of getting onto the right path for a career. If you want to find out more about Apprenticeships at Sidhil please contact our HR department.